Regardless of numerous safety precautions taken by drivers and motor vehicle designers and manufacturers, motor vehicle accidents occur unexpectedly and at any time. An automobile, truck, or motorcycle accident can be a traumatic and devastating ordeal. The seriousness of the resulting injuries creates a stressful and troublesome situation for many accident victims. If you have been the victim of an accident, call Rotolo Karch Law. 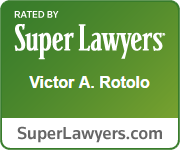 Victor Rotolo, the founding attorney of Rotolo Karch Law, has spent his life protecting people, first as a police officer and now as an attorney. Passenger cars are the most common vehicles on the road and, as a result, accidents involving cars are also the most frequent. In spite of advanced safety features including airbags, improved braking techniques, and rigorous safety testing, numerous motorists continue to suffer serious injuries during car accidents. Many car accidents are often the fault of negligent drivers who simply are not acting reasonably themselves or reasonably with their vehicles. Generally, the law requires drivers to exercise “reasonable care under the circumstances” while operating a motor vehicle. Failure to use reasonable care is the basis in most lawsuits for damages caused by an automobile accident. A driver may also be held financially responsible for damages resulting from an accident if the accident was caused by intentional or reckless conduct. A driver who drives unsafely with wanton and willful disregard for the likelihood that his or her driving may cause an accident can be considered a reckless driver. To review common types of car accident, please visit our car accidents page. Commercial trucks are commonplace on highways and roads throughout the roads in New Jersey. However, few of us ever consider the catastrophic injuries and damages that can result from being in an accident with a large truck. Due to their considerable size and weight, these large trucks are difficult to maneuver and can cause significant damage and injuries to smaller vehicles and their drivers. As a result, accidents involving large trucks are among the most serious and most deadly in the United States. The Federal Motor Carrier Safety Administration lists statutes regulating truck drivers’ actions in an attempt to prevent trucking-related deaths and injuries. For example, drivers rest for a specified number of hours before driving again, and employers must keep records of vehicle maintenance, retain receipts from fuel purchases, and retain trip documentation for certain periods of time. If a vehicle is engaged in interstate traffic, truck drivers must observe these federal regulations. A motorcyclist is faced with a unique set of risks on the road. Although motorcycles are faster and more maneuverable than larger motor vehicles, a motorcycle offers little or no protection to the rider's body. In addition, because a motorcycle is smaller than a car, it is often difficult for other motorists to see a motorcycle – particularly in conditions of poor visibility. This all adds up to an increased risk of injury to the rider when a motorcycle accident occurs. Regardless, the other motorists on the road are still responsible for conducting themselves with reasonable care and for watching out for motorcyclists. If a motorist fails to conduct him or herself reasonably and causes accident-related injuries to a motorcyclist, the motorcyclist may be entitled to compensation for his or her injuries. The experienced attorneys at Rotolo Karch Law understand the painful emotions and worries accident victims experience. Our attorneys treat each case with care so that each client knows they receive the attention he or she deserves. 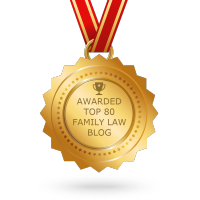 Because we work closely with our clients and listen to concerns and questions, our clients know that they can rely on Rotolo Karch Law. We keep our clients fully advised of the progress in their case, and we are readily available to meet with and answer phone calls from our clients. At Rotolo Karch Law, our attorneys work to obtain compensation to cover the costs of injuries, disability, and other consequences. Our attorneys can take over the investigation so that you can spend your energy and time on recovering from your injuries. We can also assist you in finding medical specialists and can help to make arrangements with your medical providers to postpone payment until your case is resolved. 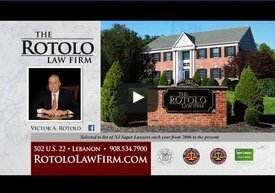 Consult Rotolo Karch Law immediately if you or someone you love is involved in an accident with an automobile, truck, or motorcycle and if another party was responsible for causing the accident. Safe drivers should not be forced to bear the costs of unsafe conduct on the road. 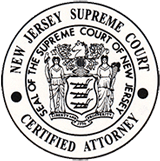 For a personal injury attorney in New Jersey, call (908) 534-7900 for a free initial consultation today. For additional information, please visit our car accident web page.